Quick overview Neglected and forgotten for many years, the arresting, elliptical novels written by Dominican-born Jean Rhys are now widely acclaimed. Helen Carr's account draws on both recent feminism and postcolonial theory, and places Rhys's work in relation to modernist and postmodernist writing. Neglected and forgotten for many years, the arresting, elliptical novels written by Dominican-born Jean Rhys are now widely acclaimed. Her last and most famous novel, Wide Sargasso Sea, her retelling of Jane Eyre, is a central text for the imaginative re-examination of gender and colonial power relations. Helen Carr's account draws on both recent feminism and postcolonial theory, and places Rhys's work in relation to modernist and postmodernist writing. 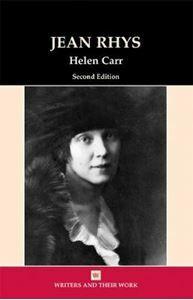 First published in 1996, Helen Carr's revised edition takes full cognizance of the wide critical attention paid to Rhys since that date.